Tumelo Ponase has won Free Accommodation 1 time! "feels happy and excited the money will help with the child registration"
3 Free Accommodation Winners so far! 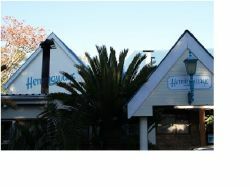 Hemingways Guest House & Conference Centre offers accommodation in King Williams's Town with Double Rooms, Twin Rooms & Family Rooms. Each room has TV's and Kettle's. Secure parking, pool and braai area.